John E. Karlin died recently on January 28th, 2013. Most people probably have not heard of him, but he was one the people who laid the groundwork for our field, for human-computer interaction as a discipline. HCI emerged from the overlapping fields of industrial and cognitive psychology, human factors, and ergonomics. While much human factors research was conducted with military funding, and with a focus on design for military contexts, Karlin and his team were a premier example of pioneers in this field within the commercial space. As an “industrial psychologist,” Karlin and his team embodied a worldview close to the one we take for granted as researchers, practitioners, and students of HCI. Using methods that we are familiar with–user studies, where the basic capabilities of the human body and mind are taken into account and observed under various conditions–Karlin and his team designed the push-button phone keypad. A number of possible designs for the replacement of the rotary dial were prototyped as early as 1941, but the design that came to set the standard from the 1960s onward, replacing rotary dials completely, evolved from consideration of human capabilities and characteristics and careful design-and-test iteration by Karlin and his team. It first appeared in the towns of Carnegie and Greensburg in Pennsylvania. Their keypad design is still with us, long after the boxy, beige telephone itself has disappeared except as a trendy artifact of design memorabilia. As Margalit Fox points out in her nicely written obituary for Karlin, the layout with 1-2-3 on top and the asterisk/star (*) and the hash (#) that were added at the bottom left and right can be seen all over the place even today–on digital keypads for smartphones, on door locks, at petrol stations on pumps, on vending machines, and on medical equipment. Fox’s article is well worth reading in its entirety. 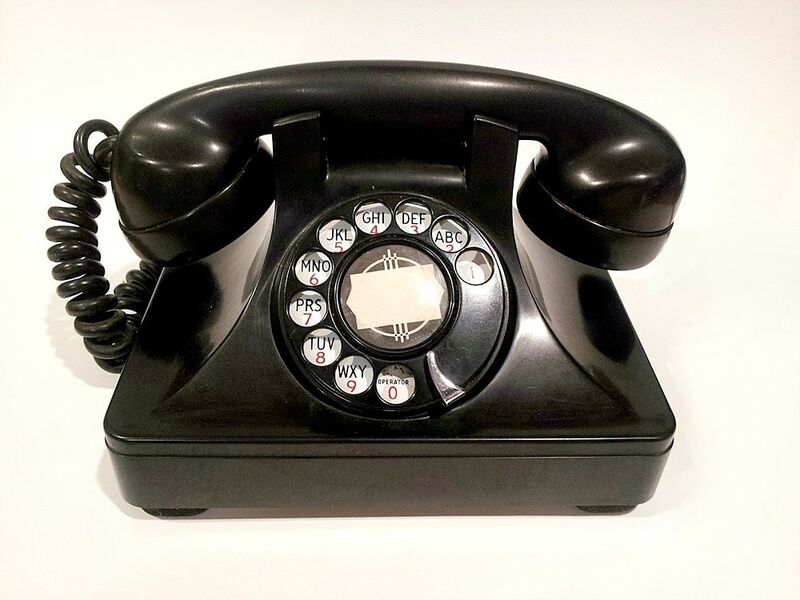 She offers nice examples of how small design changes can have big effects and talks about Karlin’s influence on the adoption of all digit dialing, a major shift in telephony from the 3L-4N (3 letters followed by 4 numbers) system that had gone before. Two batteries of music tests were factored by the centroid method. From each battery three oblique factors were extracted and in each case were tentatively identified as tonal sensitivity, retentivity (memory for elements), and memory for form. The correlations of the music tests of one battery with subtests of Cattell's intelligence test and with tests of a literary nature are also reported . Measurements are obtained of the speed with which adults can transmit information by reading printed words aloud. Effects of familiarity, word length, and size of the vocabulary from which the words are drawn, and manner of presentation (lists vs. prose or scrambled prose) are studied. It is concluded that at least 43 bits/sec. can be transmitted under certain conditions. Speed of word recognition appears to be a more severe limiting factor than the physiology of articulation. Implications for the problem of determining the rate of transmission for a satisfactory sensory input are discussed . I have yet to locate the original paper on detecting speech in noise, “Auditory Test of the Ability to Hear Speech in Noise,”  but I hope I can do so. Long-term impact takes vision and tenacity. Having worldwide impact can be a quiet enterprise, baking slowly over decades. It does take commitment and consistency. Too often we are pressed to work on problems that have low impact with no overarching philosophy and no longer-term objective or lesson. It behooves us to avoid unguided incrementalism with no bigger deliverable in mind. This is the kind of thinking that Roger Martin considers in his 2009 text, The Design of Business: Why Designing Thinking is the Next Competitive Advantage. Long-term impact may not be immediately obvious, and cannot be measured in short timeframes. It would behoove us to remember this in our world that places perhaps too high a premium on fame, flamboyance and the speedy demonstration of “success” using ill-suited, but (in-the-moment) convenient metrics. This is not to say small steps cannot lead to large impact. Creative people are able to see many aspects of a problem, but hone in on key questions. A single strand of obsessive interest may lead to, but is not necessary for, impact. Lateral thinking and an overarching sensibility or philosophy can serve as well, if not better. Karlin is an example of someone whose interests and focus were not overly narrow. In our field, where we are often asked, “What specific skill set do you have?” we can point to someone like Karlin and say it is the ability to ask the right questions that is the specific skill set. His interests spanned design, experimentation, engineering, music, psychoacoustics… He was even interested in the optimal length of the telephone cord. But his primary skill set—his ”superpower”—was asking the right questions, and applying the right methods to address those questions. Interface, interaction, experience, and services design need to engage with engineering and business. And vice versa. The close conversation between engineering, design, and human “factors” (physical, sensory, and cognitive) in an assumed context of use were all key to the innovation that led to the design work that Karlin and his team did on the keypad and beyond. Too often in organizations today these functions are not in close enough dialog with each other from the beginning of design proposals. Perhaps one driver for bringing them closer will be the increased focus on embedded computation and interactivity as well as device mobility. Lucky enough to be taken on a drive in my friends new Tesla the other day, I was very impressed, as well as slightly dismayed, by the array of (primarily visual) information confronting the driver. Lots of great work being is done here, and there is some way to go. Interaction is more than an interface. Focusing on the interface as a flat space of interaction, where information is exchanged between human and computational devices, systems, and services is to miss the point that the two shape each other through ongoing interaction. Too many books, blogs, talks, and papers I encounter focus on this narrow plane. We as designers play a crucial role in understanding how the mutual co-shaping of people and systems occurs, or could occur over, time. As the professionals whose work sits right at the point where people touch services, we are right in the center of co-shaping the relationship between businesses and consumers. Karlin and his team certainly did that for their sponsor, Bell, and arguably played a broader role in the shaping of the face of telecommunications. Innovation takes time; it needs to be fostered, not just tolerated. Innovation happens in places where innovation is not just allowed, but fostered. Let us not forget that Bell Labs was a very special place to be at the time when this work was going on. Founded by the inventor of the telephone, Alexander Graham Bell, and operated as the research center for the American Telephone & Telegraph Company for much of the 20th century, Bell Labs was at its peak in the 1960s and 1970s. Bell Labs was responsible for many key innovations that are part of our everyday lives, including the transistor (see Michael Riordan and Lillian Hoddeson’s book, Crystal Fire: The Birth of the Information Age), several computer programming languages, and the laser. Fast forward to 2013. As I tried to follow the heritage of this great site of innovation, I note that in trying to track down one of Karlin’s articles, the Alcatel-Lucent site gives me a 404. I have little insight into how Karlin and his team’s work was managed and audited at the time from a company perspective, but it would be worth looking into the culture of exploration and the way in which the ideas were taken from ideation to product. Thank goodness for people like Karlin. As I wander off to ponder this question for myself, I want to ask: What form of contribution to HCI would you like to be remembered for? 1. Karlin, J.E. A multiple factor analysis of musicality. M.A. thesis, University of Cape Town, 1939. 2. Karlin, J.E. Music ability. Psychometrika 6, 1 (February 1941), 61-65. 3. Pierce, J.R. and Karlin, J.E. Reading rates and the information rate of a human channel. Bell System Technical Journal 36, 2 (1957), 497-516. 4. Harvard University. Psycho-Acoustic Laboratory and Karlin, J.E. Auditory Test of the Ability to Hear Speech in Noise. Office of the Publication Board, Department of Commerce, 1944. Elizabeth F. Churchill is Director of Human Computer Interaction at eBay Research Labs in San Jose, California. She is also vice president of ACM SIGCHI. Elizabeth Churchill is a director of user experience at Google. She has been a scholar and research manager focused on human-computer interaction for over 20 years. A Distinguished Scientist of the ACM, her current work focuses on HCI aspects of the social web and the emerging Internet of Things.